New College is host not only to the annual Humanitas Visiting Chair of Opera Studies, funded by the Clore-Duffield Foundation, but also to the University's statutory Visiting Chair in Opera Studies. The 2017-2018 holder of the University’s Visiting Chair in Opera Studies is Stephen Langridge. Stephen is Artistic Director (Opera/Drama) of GöteborgsOperan, the Gothenburg Opera. As a director he has worked at Glyndebourne, Covent Garden, Rome, Chicago, Paris, and Salzburg. His opera productions include works by Monteverdi, Rameau and Handel through Mozart, Verdi and Wagner to many new commissions. Thursday 26th October 2017 Why play opera at all? The 2016-2017 holder of the University’s Visiting Chair in Opera Studies is Katie Mitchell. Katie has been an Associate Director at the RSC, National Theatre and The Royal Court Theatre. She was awarded an OBE in 2009 for services to Drama. Friday 27th January 2017 'Woman. Alone: Directing Opera'. The 2015-2016 holder of the University's Visiting Chair in Opera Studies was Jane Glover. Jane Glover is Director of Opera at the Royal Academy of Music, London and is Music Director of Chicago’s Music of the Baroque. She is a Fellow of the Royal College of Music. 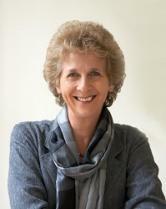 Jane joined Glyndebourne in 1979, becoming Music Director of Glyndebourne Touring Opera (1981-1985) and Artistic Director of the London Mozart Players (1984-1991). Jane has performed with all the major symphony and chamber orchestras in Britain, at the BBC Proms as well as with orchestras in Europe, the US, the Far East and Australasia. The 2014-2015 holder of the University's Visiting Chair in Opera Studies was Graham Vick. Graham Vick is the Artistic Director of the Birmingham Opera Company and works in the world’s major opera houses with the world’s leading conductors: Muti, Levine, Haitink, Gergiev, Runnicles Ozawa, Mehta.